Valentines Day is just around the corner so I thought I would share a little DIY project that you can make for your loved ones. 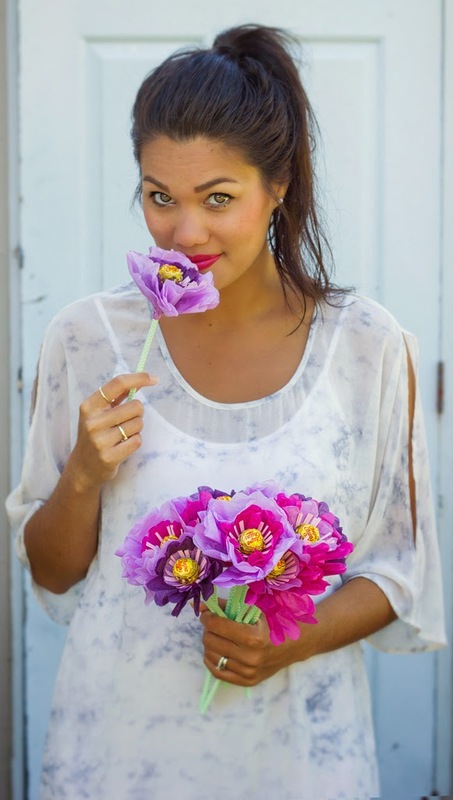 You can make a bouquet like I have done or give out individual flowers. They will last a lot longer than real flowers... and they are delicious! 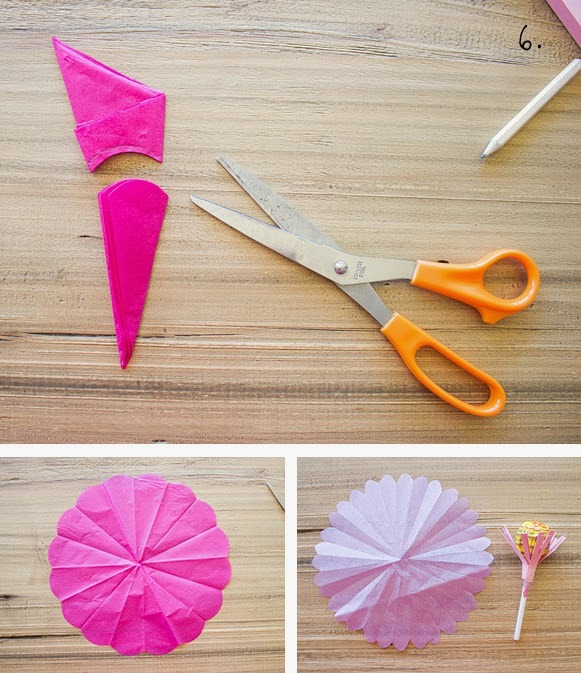 You will need: coloured tissue paper (I used three colours), cardboard, paper straws, lollipops, cellotape and scissors. 1. Cut a rectangle from your cardboard. Make a fringe by cutting lines along the edge of the cardboard. The closer your cuts are to each other the better. 2. Remove any excess tags from your lollipops. I used all yellow chupa chups (chocolate and vanilla) but you could use multiple flavours to make it more colourful. 3. 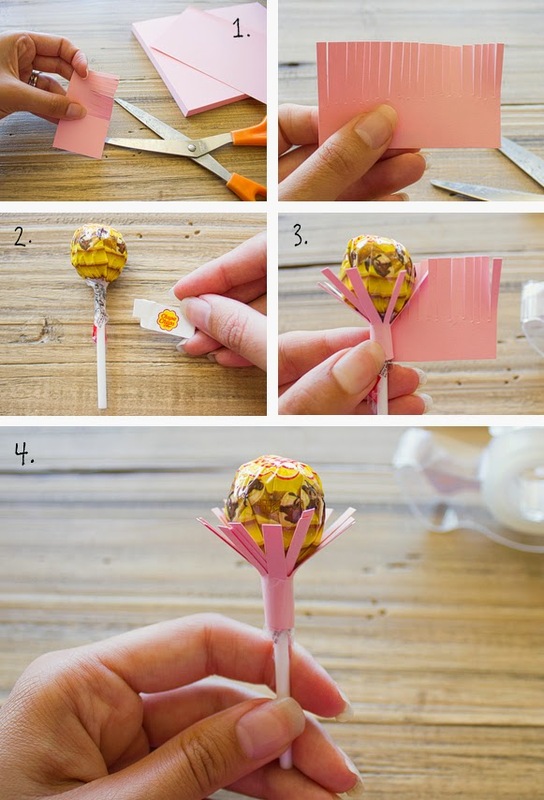 Wrap your cardboard fringe around the lollipop, making it as tight as possible. 4. Secure it with some cellotape. 5. 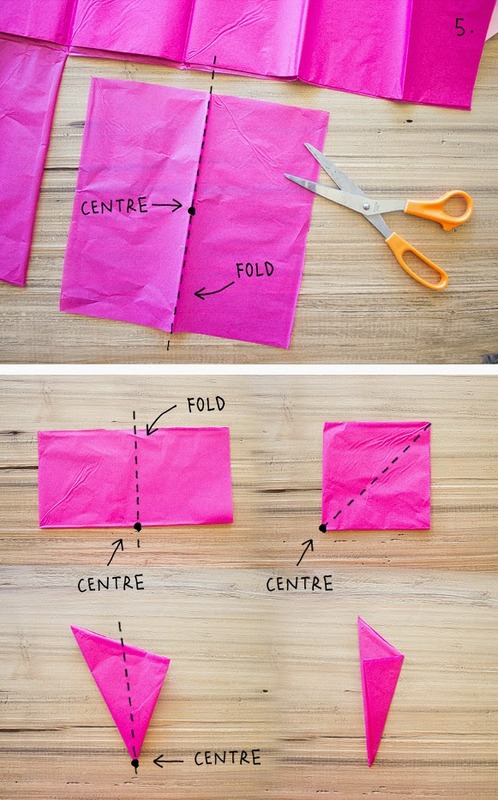 Cut a square from your tissue paper. This will be your inner petal. Fold the tissue paper in half four or five five times until you have something that looks like the below photo. 6. Cut the tissue paper in an arc and unfold it. The pink one is what it will look like when you fold it in half four times, and the purple one has been folded in half five times. 7. Make a hole in the centre of your tissue paper and push the lollipop stick through. 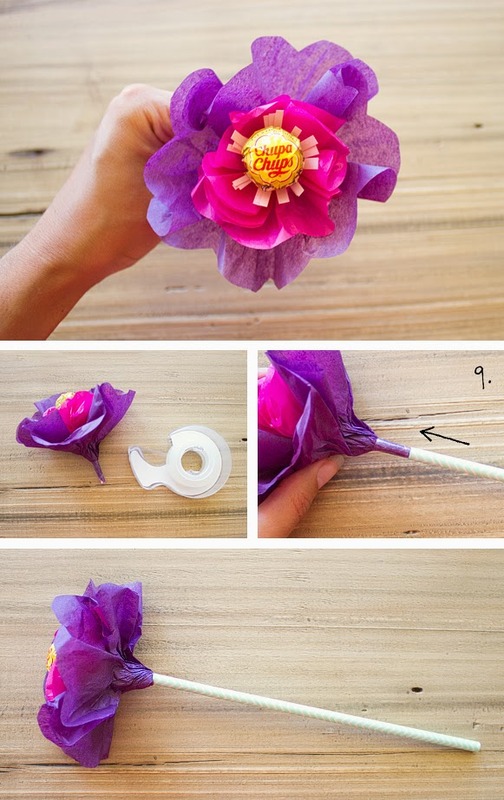 Twist the tissue paper along the stem and secure it with tape at the bottom. 8. 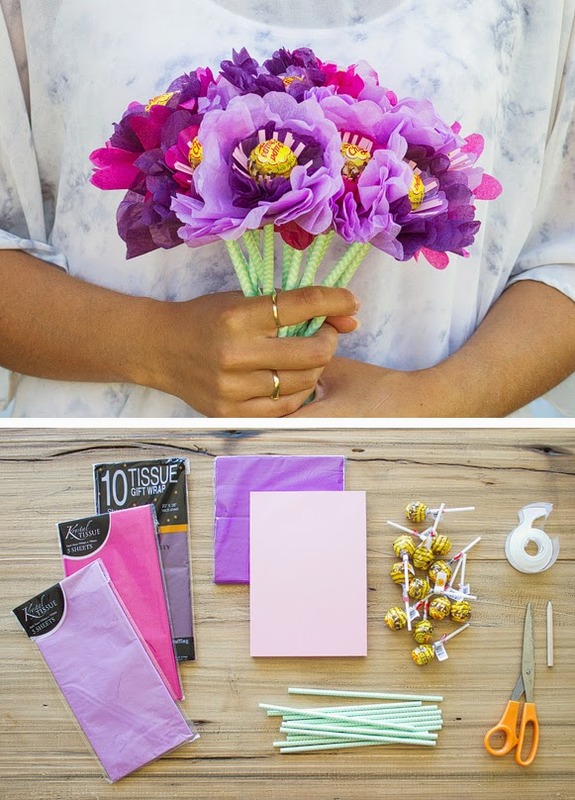 Repeat steps 5. to 7. with a different coloured tissue paper adding the outer layer of petals. 9. Push your paper straw over the lollipop stick and tissue paper. Mine fit snuggly so I didn't need to secure it with anything. You can also use plastic straws but they tend to fold in half with the weight of the lollipop. If you are wanting to use plastic straws I would suggest putting a BBQ stick in the middle to help stabilise it. And there you have it, a lollipop flower. I mixed and matched the colours I used for the inner and outer petals so they didn't all look exactly the same. All work on this blog is created by Voyages of the Creative Variety unless stated otherwise. Powered by Blogger.